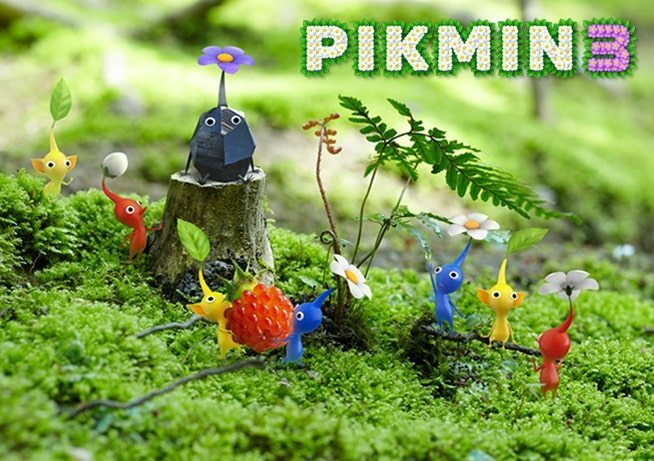 The first gameplay and details of Pikmin 3 were unveiled at Nintendo’s E3 press conference this evening. Industry legend Shigeru Miyamoto strolled on stage to introduce the game revealing that Pikmin 3 that will use both the Wii U Game Pad to provide a view of each level’s map and the Wii Motion Plus and Nunchuck controls for accurate command of your Pikmin army. The game will feature up to four playable commanders, who from artwork shown at the conference, appear to be members of Captain Olimar’s family as well as his former boss. Miyamoto mentioned that the absence of Olimar is a secret to be revealed in the coming months. A new type of Pikmin named Rock Pikmin were shown, which can be thrown at walls to break them down quickly and crack the shells of enemys. Multiplayer features have been confirmed for the game as well as the ability to record your gameplay and watch it back. Missions will also be time intensive hinting at a return to the original Pikmin’s time-pressured campaign.